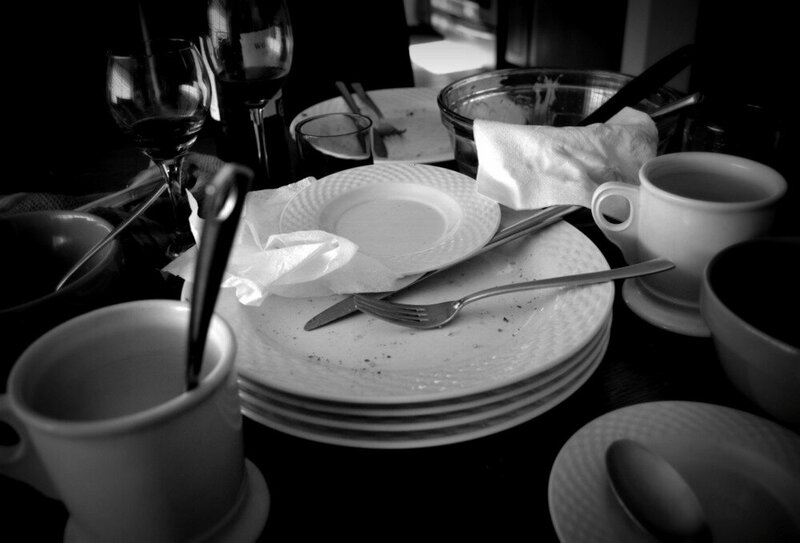 Isn’t it nice not to have to clean up after a big party? Ahh, my head is now swimming with vegan recipes – all of your delicious creations from drinks to desserts. Now I just need to find the time to try them all out! (Honey, I’m gonna be busy for a while…) A lot of heart and soul went into each of your posts; it really showed. The support among participants for all of the blogs in the circle was a beautiful thing and I was very gratified to read several comments along the lines of: Hey! How did I miss this and how do I get involved in the next one?! We had a few glitches, which was to be expected. A lot of issues had to do with the trickiness of scheduling a post. I myself sat staring at the time on the screen, wondering if I’d entered it right. We also had some funky links (I made one of those errors) and some dead ends. I expect as we all understand how and why the links work (and why they’re so important) those problems will be a thing of the past. Other bloggers had technology malfunctions of one kind or another. I was really bummed to have to bypass two blogs. I did not want to have to do that, but I also wanted each blog in the circle to get the attention it deserved. Sunday morning I went back through the Potluck and overall it moves really well. However, there are still a few breaks in the chain. If you are mentioned here (I’ve contacted each of you either by email or via comment already), please make these fixes as I’d like the Potluck to run seamlessly for anyone who comes through later. 1) Along Comes Mary did not participate. Turning VEGANese, please update your link to go directly to Anne Sture Tucker’s VVP blog post. 2) Foodie McBooty, I still need you to add links directly to Christine Robyn’s blog post and to The Adventures of Vegan Charlie’s blog post. 3) Naughty Vegan and Hearty Herbivore, no need to change your links as I directed in my comments to you. Please keep your links active to Rachel in Veganland – she’ll stay in her original spot in the Potluck. 4) If you haven’t already done so, please update your links so that they lead to the VVP posts rather than to the home pages. 5) I noticed that on some blogs, comments I wrote did not get published. This has been a problem with my blog, too – some comments go directly into the Spam folder. FYI, keep an eye on your Spam folder for genuine comments – you may have some good stuff in there! Don’t want anyone to think I did not visit and comment on their blog. 6) I’m slowly adding photos of your VVP recipes to my Pinterest board, Virtual Vegan Potluck. Haven’t made it all the way through, but I’ll get there. So now on to the most important thing: when are we doing this again?? How do you feel about doing this two times per year? I’d love to keep the momentum going. I’m thinking perhaps a mid-November date so we can share cold-weather and holiday-related fare. Share your thoughts, please! Which leads me to the next thing. If (and when?) this Potluck gets bigger, I’m going to need help. I’ve got a few ideas about that, but be thinking about how we can make this event easier, more efficient, smoother. I’ve already identified some areas where we can improve and some ways we can make things (like posting times) less muddy. Also, how do we maximize interest in it? There are plenty of vegan resources on which we can call – it just means that we need to cultivate some of those relationships. But, I have mixed feelings about the Potluck getting really big; too many participants means it loses some of the intimate community feel, yet I love the idea of having anyone interested involved. Please let me know how the rest of you feel about the size of the Potluck. Finally, as I mentioned earlier, Jason had the brilliant idea of putting all of the recipes together in an e-book, available possibly at Amazon or another vendor. I know I’d like to have a copy. We’ll share more on that as we find out what that entails. Please email me your thoughts and ideas or leave a comment on this post. You are a creative, outspoken, energetic bunch and you made our very first Virtual Vegan Potluck a huge success! Here’s to the next one! P.S. Wishing the best to one of our participants, Veggie V’s Vegan Adventures, who is hosting Plants 2 Plate tomorrow in my home state of Ohio. Best of luck, girl! Proud of you for spreading the plant-based word. 🙂 I’m so relieved it worked! I didn’t know they sell vegan sandals. Oh my gosh – there are vegan shoes of all kinds out there! SUCH a success! Well done, Annie (and everyone else)! November might be a bad time for me to be offering help, but I’m going to anyway. If I can help with the next one, let me know. I love the idea of doing it twice a year, and I’d love if bloggers also shared a different course each time (gives us all a chance to flex our various cooking/baking muscles). Also, you definitely deserved those sandals. At least as much, and probably more, as the two pair of vegan TOMS shoes (not all TOMS are vegan) that I bought for myself recently. Thanks, Laura! If you can “only” participate with a recipe/post – that is more than enough :-)! I like the idea of switching our courses, too. I haven’t investigated TOMS yet! Maybe I’d better not…? They’re very comfy. And cute. And vegan. And, for every pair of shoes purchased, they donate a pair of shoes to a child in need (whether you purchase on-line or in a store). Oh, you didn’t ;-)! I’m on the site now…damn it. I had so much fun, and I appreciate you opening the Potluck to your non-vegan friends! I really loved being a part of it and I truly love all the vegan dishes featured. Thanks, Dena! I think having non-vegans involved really made it extra special. I’d definitely be up for doing a winter one too! mmm imagine all that vegan comfort food!!! I know what you mean about it getting too big, because for this first one there was a real sense of mystery however there are millions of foodies out there and it will definitely be a fabulous way to promote the vegan lifestyle and show people that its not all lettuce and beans hehe! Aww, thanks so much! I know, the thought of yummy soups…stews…pies ;-)… Thanks for your feedback! Adore your new sandals! So glad you mentioned to check the spam folder- there was indeed a comment from you in there just waiting to be read! I’d love to have a holiday potluck again so that the vegan blog community can share some delicious recipes before many of our celebrations begin. This can be a way to have a virtual “gift giving” if you will and share ideas and inspiration with one another! Also, congratulations! You’ve won a crocheted cactus! Check out the post for details! And as always, thank you for the support, Ann. It means a lot to me to have such an inspirational woman support my little vegan endeavors! Wooohooo! I was hoping to get my paws on that cute little cactus! Thanks, Rachel. You know I adore you. I’ll leave a comment w/ my address. What is with comments going into Spam lately?! Annoying. I think November is a good idea… maybe mid month. A lot of bloggers will need a breather after VeganMoFo, but before the craziness of the holidays begins. Thanks, Barb! I like that you started with desserts ;-)! Again, thankyouthankyouthankyou for your hard work! I would also like to extend my thanks for letting foodies of all stripes in on this party! It’s so inspiring seeing what everyone has come up! So far, I have drooled over everything twice, but I still need to go in & comment because you do get sucked in! I would definitely be up for a winter version, but yes, if November, then the earlier the better, please. Either that or after the holidays. I’m not really the most skilled when it comes to techie stuff, but if there is something I can do to help, do let me know once Winter rolls around! Thank you, dear! Your thoughts and offer of help is appreciated! I think you are right about keeping it smaller, maybe limit it to 100 participants? If it gets too big, I don’t think readers will go through the whole thing and many will get left out of the excitement (notably, the ones at the end). I am happy to help wherever I can and I think the e-book is a fabulous idea! I would adore having a copy of all the recipes! And well deserved sandal purchase! My chacos are getting tired, I might have to check those out! Thanks, Somer, for the feedback – I know we’ll chat more about it ;-)! I do like the intimate feel – and you’re right… Although it’s fun, it is tough to go through 60+ blogs. Thanks so much for all of your work on this – wish we could have participated, but I still plan on winding my way through all this yummy food. And YAY to new sandals! There’s always next time! Hehe, yep, hope those sandals arrive soon! This potluck was so much fun. The idea was truly genius! I would love to do this again. LOVE those sandals oh my gosh. Made from yoga mats!? SOLD! I like the intimate feel too but think the more the merrier in terms of participants and getting the word out. Maybe you could somehow split them? Hmmmm, or would that lose the point? I absolutely LOVE the idea of a recipe book of somekind as I am rapidly losing control of my email recipe folder. I would definitely be interested in helping out and I’d love to do one in November! Thanks so much for organizing this! My blog received a record number of hits on Saturday and the number is growing! Woohoo – thanks!! Glad to hear you are getting some good traffic (I am, too – yippee)! It was SO much fun!! It worked amazingly well and it was such a treat to visit and see all the wonderful creations people had come up with – WOW!!! You SO deserve those cute sandals my friend!!! Shucks, Anne ;-)! It was a TON of fun, wasn’t it? Glad you and your family liked it. I left a comment on today’s post for you, but I think it disappeared into Spam purgatory! Been having trouble w/ that lately. I would love to participate again and Jason’s idea is a hit! Yay! I’m so glad to hear both that you’ll play along again and that veganism is – – growing on you! Love that! Hugs, my friend! It was great, and a super fun event for sure, I think a fall potluck around Harvest time would be great! Perhaps if it does get too big (over 100 like Somer says) there could be 2 days….either 2 Saturdays on a row or something – sometimes its nice getting invited to a potluck even when you’ve simply got nothing to bring except your enthusiasm and keen hungry tastebuds!! Just a thought! Excellent follow up Ann!! xo! This was so great! I am about to work my way through as I have been away from the computer for several days. THANK YOU so much for hosting this, how wonderful! Also, just my thoughts…I think it might be nice to let the size grow on its own. Unless there are some people that can work on the potluck full-time with all the behind the scenes things that go into it, it might be good just to go by “word of mouth.” For now. Yikes, I missed this new post and comments on the old one earlier today. I was late to dinner- that doesn’t happen often. Supreme event- I can’t wait for the pre-holiday VVP, that sounds perfect!! I have learned a lot about self-pub in the last few days. Lots of good options for us. Already excited about what comes next!! If you need help… let me know, I’m pretty useless with technology, but anything I can do to lighten the load 🙂 AND I want some of those sandals now! Glad to hear it! There will be more for sure! Oh, I got the sandals yesterday and they are SO cute and very comfy. I don’t know if I can add a lot more than what has already been said, but I do think twice a year would be fun. I don’t know how you could fairly limit the number of people who participate; on one hand, I like that everyone could come, some really great recipes came from non-vegans. However, just the 66 or so that posted was a lot to go through and I felt like it was only fair that I visit each one; if it got too big some sites might get skipped. On the other, other hand, I’ve had a record number of hits on my site since Saturday so the more people who participate, the better. It’s a catch-22 but I’m sure we’ll figure something out! I go back and forth, too! Too big and some folks get skipped…the more the merrier…and on and on! We’re kicking around a few good ideas, though, and I think we’ll be able to meet the challenges! Thanks for your thoughts on this! Those are cute sandals. And yes, let’s do the potluck twice a year. It’ll be fun to get together again. I also agree with the ebook idea, but I guess we should take it one step at a time. Would it be nice to have a software that would magically timely sync our links for us? hehe Wishful thinking! Richgail…wouldn’t that be nice?! There must be an easier way, just wish I had the brains to come up with it! Hi everyone, I’m all up for a twice a year hosting! I did find 60+ to be a lot. I still haven’t had time to go through all of them yet. I think 60 is enough, but yet it’s hard to turn people away. I hate to be a bum about this, but would it be possible to have a green leaf symbol or the (V) symbol on the vegan blogs? Kind of like when you’re looking at a menu. I hate to turn away a blog post from kind bloggers for VBU, so I feel kinda jerky saying no to non-vegan blogs. Sigh. The only thing I found that needed to be more organized was the timing of posts. If people could post at the same time and have their URL’s pre-sent to Annie so the blog roll list goes right to the post vs the main page that would be great. I also noticed some people didn’t have buttons or links. Maybe I was on the pages that dropped out? I’m not sure. Either way, yes, yes and more yes. Annie you are wonderful for doing this. A big thank you. I’m more than happy to host again. That’s an interesting idea about identifying the vegan blogs. I’d be curious to know how many of those who contributed were practising vegans. Personally, I’m not, but I wouldn’t be at all put out by not having a green symbol on my page. No issue with having or not having a V on the page next time around (if non-vegans will be invited), but as for this time, that info is on my About page, so to be invited and then uninvited to contribute to VBU was a little confusing. Still a lovely event, all in all! Lidia, how do we get the V?? I agree with you, dear – your site is about connecting vegan bloggers. I think everyone is cool with that. Thanks once again for hosting! I think it worked SO well – people could return to VBU when they came across a broken link, or if they wanted to revisit a particular blog. First off, a big thank you to you Annie, for creating and running this so brilliantly, so many people enjoyed it and it was a huge success! I agree with you that it would be nice to have it twice a year, but I also think it would be good to keep it reasonably small. I still haven’t managed to read all the entries yet, so if there were more than 100 I don’t know what sort of percentage of them I’d get through. I think something between 60 and 100 would be fine, and if a lot more people wanted to join in perhaps we could take it in turns, i.e. those of us who do the spring one don’t do the autumn one? Just a thought. I think Jason’s idea is great, although I don’t yet have an e-reader so I wouldn’t be a customer unless I bought it for someone else (which I might well do). I’ve no idea how much work is involved in creating an e-book but I know that doing a standard paper book is a heck of a lot of work! If I can give you any useful assistance, with the next VVP or with the e-book, I’d be glad to lend a hand in whatever capacity I can. Maybe we should have a Facebook page for it, if it’s going to become a regular event? Thank you, Lorna, for the feedback. And a wonderful idea – from your brain to my computer: I just created a VVP Facebook page! Will share once I have it looking shipshape! Thanks Annie for orchestrating a spectacular event! It was wonderful to participate in. I am in agreement with Lidia, I haven’t even made it through the 60 yet! She also made a good point about sharing the links to the blogs before they are posted (WP has “shortlinks” when you save as a draft. It would take more pre-potluck communication but if you put it on the shoulders of those blogging the entries as opposed to just one person, the event could all be unveiled at the same moment. I am thrilled to read and savor every post. Thank you to all who contributed. Glad we’re on the same page, As for the (V), I copied it from someone’s twitter account profile and pasted it into mine. It’s just that simple really. Should be easy to identify vegan posts that way if the symbol is on their blog post somewhere. Perhaps the title of the post? Or where ever they feel best. What a mess I made of things! I finally uploaded the beautiful buttons you made. Sorry about all of the confusion! Popping that Virtual Potluck cherry, you know… 😉 Thanks for letting me participate! I had a blast!!! I didn’t expect things would run perfectly smoothly, but overall, we did pretty damn good. Next time I hope to make things even easier, but I’m a techie-newbie, so who knows. Haha! We’re looking at early November. Big things coming (at least that’s the plan)! You did a great job! Thanks for keeping me in check too. I’ll do better next time, I promise. 🙂 – thanks! Looking forward to the next one! Love to to the potluck again! I thought it went very well and from my end, as a participant, it was fairly easy. Especially from a technical perspective. I had a blast and found so many new blog friends – truly awesome. Thanks Annie! PS – just checked my spam and found 3 lost comments! So sorry friends! As I’m an editor by trade, I’ll be happy to participate in the eBook. Also, I agree with not making it too large. It’s awesome! Ooooh! Okay, we’ll keep you posted. Thanks! V. excited for the next one!